There is a popular notion that a country can "breed itself" out of the aging population "problem". On one level it makes sense: population aging is largely caused by a decline in the birth rate. Increasing the birth rate, by definition, should alleviate the "problem". In 2015 China had about 930 million people aged between 20 and 64 compared to 131 million aged above 65. And by 2050, the population of people above 65 is likely to be about 370 million. In order to maintain the 2015 ratio, the "working age population" would need to be 2.65 billion. Even to have half of the forecast increase in the ratio, China would need a working age population of more than 1.5 billion. So what does this mean for the birth rate? It means that to have the 2015 dependency ratio in 2050, there should be more than 127 million extra births a year. This scenario is made even more remarkable by the fact that the number of women aged between 20 and 40 is forecast to decline from 207 million in 2015 to just 134 million in 2050. These figures also show the aging "problem" cannot be solved by immigration－unless the combined populations of Africa and Europe (about 2 billion today) moved to China, and then moved back when they turned 65. Thinking about this differently; about 1 million extra births have ensued since the family planning policy was eased to allow all couples to have two children. The figure is below the expectations of many who anticipated a large-scale baby boom. But what would be the effect on the ratio if there was such a "baby boom", and the figures were, say, doubled to 2 million extra births over the next five years. Well, the simple answer is that the effect would be negligible; shifting the ratio of working age to those aged above 65 by less than 2 percent. A final issue relating to a "baby-led" response to population aging is that children are dependents themselves. In other words, until children get jobs they cost the state and families a lot of resources in terms of money and time. This is especially the case for women, who still shoulder a disproportionate responsibility for childcare and domestic work. In other words, if you consider children as dependents－just like the elderly－a baby boom would actually create many demographic and economic challenges. So, the evidence appears clear. While population aging has been brought about by a demographic change, responding only by basic demographic means is not feasible. This is not to say that the government and employers should not be doing more to support families to have two children. But this should be done to improve their lives and allow them to reach their aspirations, rather than to meet an impossible demographic "target". Does that mean we cannot be hopeful of overcoming China's aging population problem? I do not think so. Over the past three decades, there has been tremendous demographic change; but there has also been enormous change in other aspects of the economy and society. To imagine the same will not happen over the next three decades would be wrong. In other words, the number of people is just one component of China's future. Indeed, I would suggest the health, skills, productivity, savings and well-being of the population are far more important than the raw number of people. 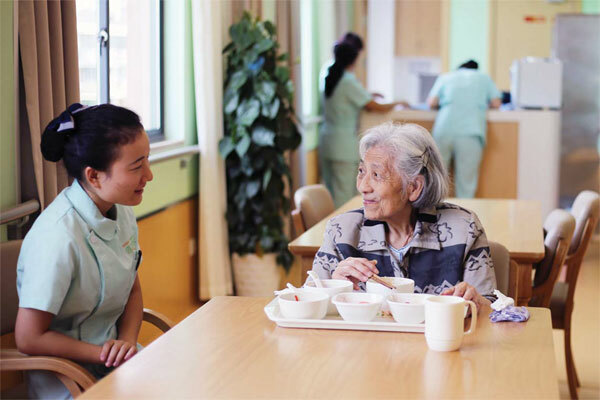 There is still much work to be done, reform of the pension and healthcare systems, and State-owned enterprises and productivity improvements are going on. With high personal savings rates and improving health and education of older people, the outlook is arguably good. Furthermore, why do we continue to use 65 as a "boundary to old age" given how much health and well-being has improved? And if we continue to do so, we should also consider how technology can change our lives in terms of both workplace and robotics for assisting older people. In short, the aging "problem" is only unsolvable if we view it through the eyes of today and not the future and if we view it as a one-dimensional "demographic problem" rather than a multi-dimensional economic, social and political "challenge". The author is a researcher at the division of social science, Hong Kong University of Science and Technology.